The horsetail plant (Equisetum arvense), also called shavegrass, is the descendant of a large Equisetum species that grew millions of years ago in the Paleozoic era. 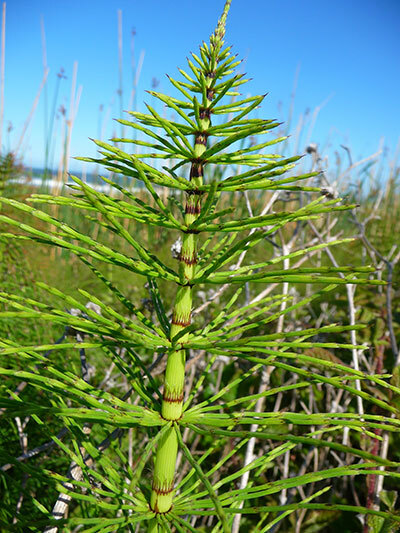 Growing as massive horsetail forests reaching heights of close to 100 feet (30m), the plant is a living fossil of an earlier time before human existence. Today's versions are much smaller in size but some varieties, called "giant horsetail", can grow as tall as 26 feet (8m). Most are between 1 to 5 feet in height and tend to quickly proliferate in dense patches where moist soils are located. 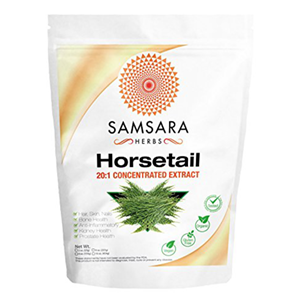 One of horsetail's claim to herbal fame is that it contains high amounts of silica and is one of the highest plant sources known for this bone strengthening mineral. Horsetail grows as a wild herb in many parts of the world and can be easily harvested for herbal tea formulas and preparations. The type of horsetail traditionally used as an herb is the Equisetum arvense variety, although other species can offer similar medicinal components. This is typically a smaller horsetail with leafy branched stems as opposed to tall stems with no leaves. The fresh young green-leafed shoots are viewed by many herbalists as the most medicinal part of the plant and can be harvested in the mid-late spring and dried for making teas or tinctures. Horsetail is one of those herbs that should not be eaten raw, but rather infused into hot water or prepared in an alcohol menstruum. Very few studies have been done on the herb itself or its effects on humans, but herbalists throughout the ages have used it for common health issues as well as a source of minerals for a very long time. Horsetail is a familiar wild perennial herb that grows throughout parts of North America, Europe, Asia and the Middle East. 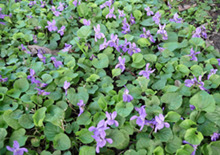 It is a water-loving variety that can typically be found growing abundantly in moist soil or wetland regions. The coarse quality of the horsetail plant and it's uniquely branched leaves is also named for its resemblance to a horses tail. The name Equisetum in Latin means "horse" (equus) and "bristle" (seta), which somewhat describes its rough abrasive nature, as do its other referenced names "bottle-brush" and "shavegrass." The name arvense means "from the meadow, field or grassland", which are all areas where it tends to grow. Historically, the fresh herb was actually known to be useful as a scrubbing tool used on pewter as well as metallic pots and pans. Horsetail was one of Rudolph Steiner's, the father of Waldorf education and biodynamic agriculture, top favorite nutritive herbs along with nettles and wild oats. Horsetail has been traditionally consumed as a tea for treating skin disorders, urinary tract infections, kidney issues, gout and rheumatism. 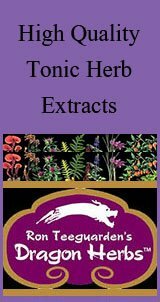 It has also been used topically as a compress for treating wounds. It is used in biodynamic gardening for its ability to reduce excessive moisture levels that can have negative impacts on other plant species. Today, it is a commonly found ingredient in many herbal commercial cosmetics and hair care products for its high silica and mineral content. Horsetail is fairly easy to identify as it is quite different than other plants you may come across in a forest, beach or meadow location. Most noticeably are its hollow, ridged segmented center stems. The "leaves" are more like green feathery branches that protrude around the main stem in a circular whorl-like fashion between the segmented sections. As we mentioned, sometimes you may find horsetail plant that has only tall thick stems with no leafy extensions, this is not the Equisetum arvense but is a related species called "scouring rush" or Equisetum hyemale. This non-leafy variety does have some medicinal value, but the young sterile shoots of Equisetum arvense are generally believed to have a greater amount of nutrients. In the spring, white-tan asparagus-like stems emerge from the existing tuber-bearing rhizome. These are the fertile stems that produce and release spores and then soon die. The non-fertile or sterile stems then grow into a mature horsetail plant. You can always buy dried horsetail to make nutritive herbal teas, but we are personally big advocates of harvesting your own wild foods and herbs whenever possible. They simply give you a nutritional element that can't be found in cultivated foods. 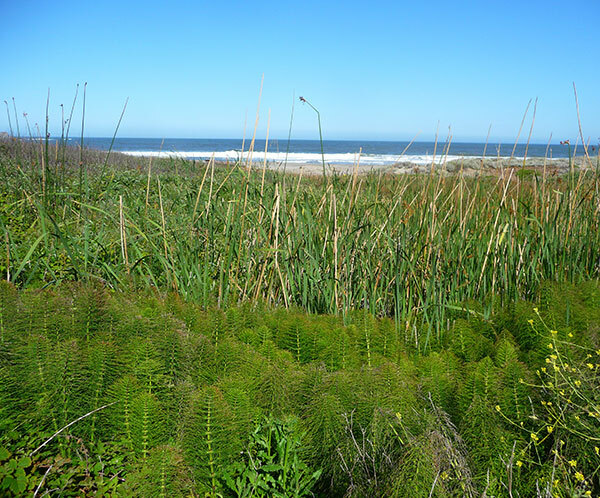 Since horsetail plant is an aquatic species, like watercress, it is good to keep an eye out for it when in marshy, wetland regions or waterlogged areas near a beach, creek, river or lake. Horsetail typically grows in stands that cluster together in dense patches. This makes it easy to find as they can usually be identified by their vibrant green color and feathery-look. We always recommend using a wild plant guide if you are at all unsure of the species you are harvesting. There are many poisonous plants in the wild and it is good to always err on the side of caution. Another obvious way to identify the herb is to feel the texture of its leafy branched stems, they are slightly coarse and abrasive. Keep an eye for new horsetail growth throughout the spring season. 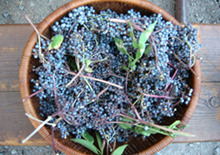 The best time to harvest it is when the leafy stems are pointing upward as opposed to downward. 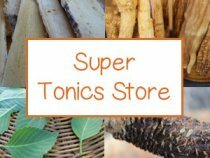 This is when most herbalists say it is at its prime nutritionally speaking. When wildcrafting wild plants it is important to only take the upper part of the plant so that you leave the roots intact for next years growth cycle. Also, when harvesting horsetail plant, you should always make sure it is away from polluted water sources. 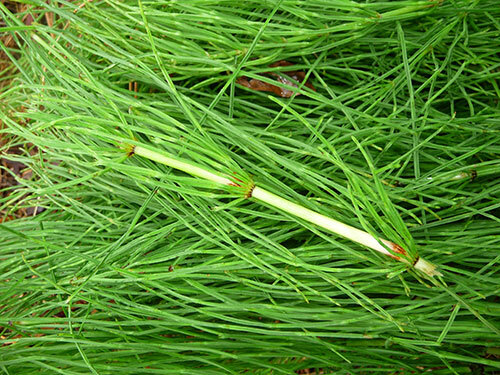 Horsetail is a source of silica or silicon and is, in fact, one of the most densely silicified plants known (next to bamboo), consisting of about 7-10% dry weight silica content. As we mentioned, higher concentrations of this mineral are usually found in the younger shoots of the plant. 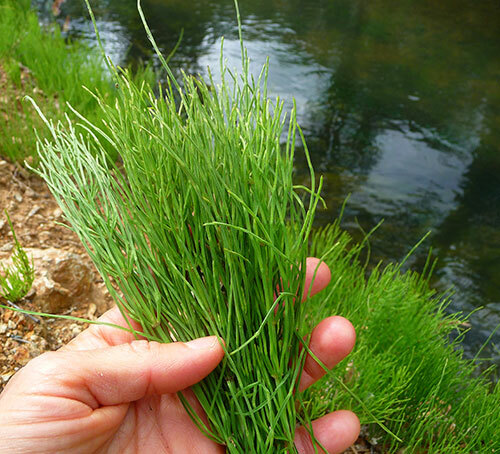 Most high quality horsetail herb is harvested during this time. Silica is an important nutrient needed for bone and tooth formation and helps to nourish the skin and maintain healthy hair follicles. Interestingly, this is achieved in much the same way the horsetail plant uses silica plates for structurally stiffening its stems as it does not have woody reinforcement like other plants. Supplementing the diet with horsetail tea or tincture can help to remineralize and strengthen the bones, joints, ligaments, connective tissue and spine. 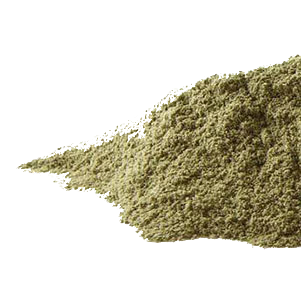 Silica-rich foods and herbs are especially good for replenishing and repairing broken bones and fractures. 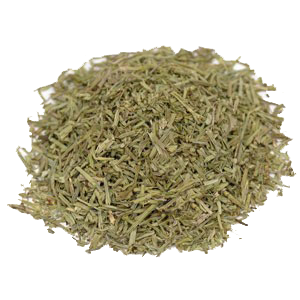 Strong herbal teas using fresh or dried horsetail herb can be made, in such situations, for added nutritional support. The bone rebuilding process does take a period of time so you must stick to a daily supplementation protocol for it to be most effective. Dietary silicon is also a suggested treatment for osteoporosis to help increase bone density and prevent thinning of the bones. Silicon is currently being studied for its involvement in collagen synthesis, bone formation and the increased metabolism of certain nutrients like copper, calcium, magnesium as well as its role in detoxifying toxic aluminum from the body. In an article posted in the Journal of Nutrition, Health and Aging called "Silicon and Bone Health" an investigative study reported that "Accumulating evidence over the last 30 years strongly suggest that dietary silicon is beneficial to bone and connective tissue health and we recently reported strong positive associations between dietary Si intake and bone mineral density in US and UK cohorts. 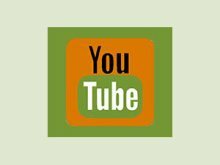 There is perhaps no question that silicon appears to have a beneficial role in bone formation and in bone health." 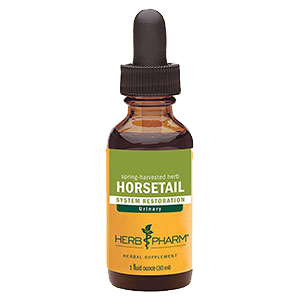 Horsetail is a common herbal ingredient used in many commercial shampoo products for its superior hair strengthening attributes. 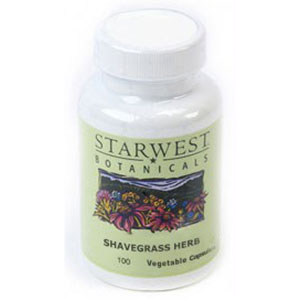 It is an excellent supplement to take internally as well as use externally directly on the hair follicles and scalp to improve sheen and texture. 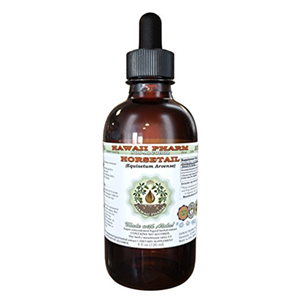 It is known to help thicken and support the growth of the hair and horsetail tinctures can be consumed or added to shampoos or rinses to accelerate its conditioning effects. Alternatively, horsetail teas or alcohol extracts can be massaged onto the scalp and left for several hours to revive and nourish split ends or treat dandruff. For a complete hair rejuvenation protocol, it is often recommended to also drink the tea or take extracts once or twice a day for a period of time. 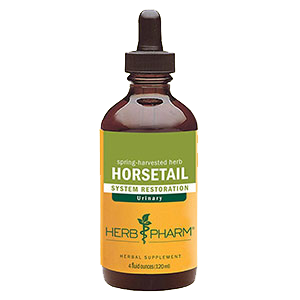 Horsetail plant additionally contains high amounts of selenium as well as silica, which is a mineral needed for proper hair growth. Selenium is also essential for your body to process iodine efficiently, which additionally helps regulate the hair’s growth rate. 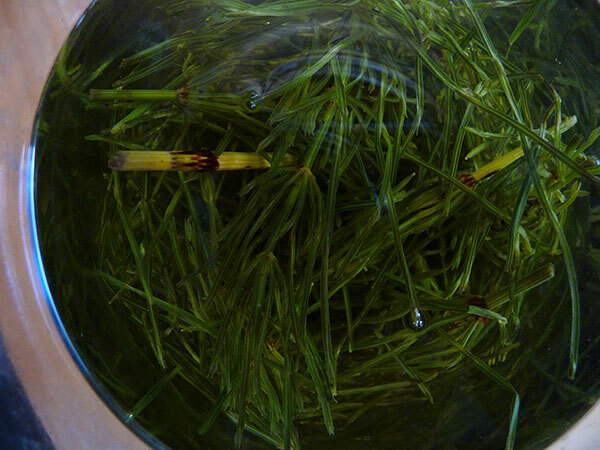 Horsetail plant tea or extract is also revitalizing to the skin. As we mentioned, dietary silica is helpful for collagen formation and can help to maintain healthy supple skin. It is used extensively in the cosmetics industry in skin care products and anti-wrinkle creams. Horsetail has been used topically for centuries by herbalists around the world for treating wounds, acne, rashes and burns. The tea or extract can be made into a paste and placed directly on the affected area. Horsetail plant acts as a natural diuretic and can help to alleviate the symptoms associated with a urinary tract infection. Drinking horsetail tea 2 to 3 times a day has been a traditional herbal remedy that helps to dissolve and flush uric acid from the body, which can be beneficial for those with gout. According to the Modern Herbal, "Besides being useful in kidney and bladder trouble, a strong decoction acts as an emmenagogue; being cooling and astringent, it is of efficacy for hemorrhage, cystic ulceration and ulcers in the urinary passages." 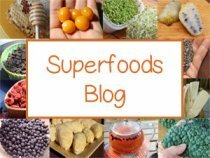 Is Horsetail Good for the Kidneys? 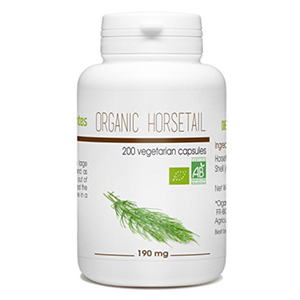 Horsetail has been used throughout herbal history in the treatment of kidney disorders. 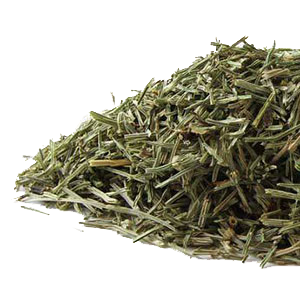 However, there is some conflicting information about using horsetail extracts for dissolving kidney stones. Some research is showing that silica supplementation (most likely isolating the active ingredient "silica") is not beneficial for kidney stones and may in fact help to promote them. 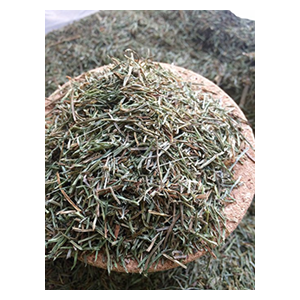 It is important to consider though that when consuming horsetail tea or extracts, additional components in the plant, specifically sulphurous acid salts, allow for the proper delivery of silicic acid to the kidney system. These salts may also be a necessary component needed for dissolving calcified stones. Synthesized silica supplements do not have this unique natural element. Words from the Rudolph Steiner Archive: "The peculiar feature of this plant is that it contains a great deal of silicic acid. If we were to give silicic acid alone it would, however, not reach the kidneys. 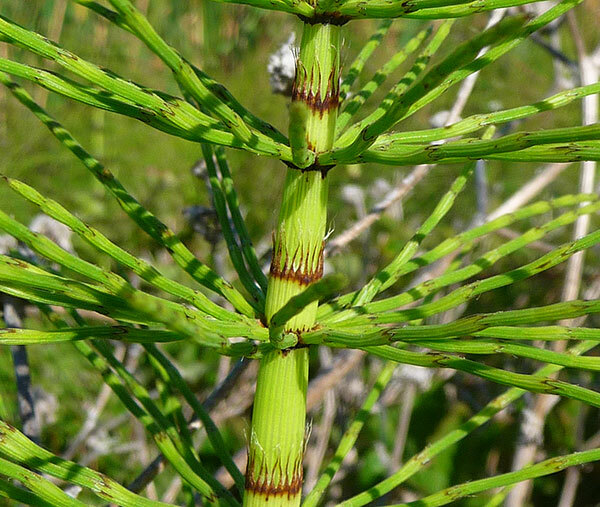 Equisetum also contains sulphurous acid salts. Sulphurous acid salts alone work on the rhythmic system, on the excretory organs and on the kidneys in particular. When they are intimately combined as they are in Equisetum arvense... then the sulphurous acid salts enable the silicic acid to find its way to the kidneys." It is always important to do your own research and seek the advice of a health care professional when considering horsetail herb consumption for kidney or urinary tract disorders. When experiencing ureteral obstruction caused by kidney stones, you should of course always seek immediate medical attention. Horsetail is known to absorb gold dissolved in water better than any other plant. A cup of horsetail tea contains a relatively small amount of gold, but the Chinese use homeopathic doses of gold as treatment for joint issues like rheumatoid arthritis. Freshly wildcrafted horsetail plant does not take long to dry. It can be laid out flat on mesh screens with a cloth underneath to catch smaller pieces that break off. It is always important to dry your herbs out of direct sunlight in a cool dry place. You can store the herb in an air tight glass jar to preserve it for later use. It is important to avoid breathing any silica crystals (like microscopic glass particles) that may drop off as the plant dries. This can usually been seen in the form of a dust that can be quite irritating to the respiratory tract if inhaled. 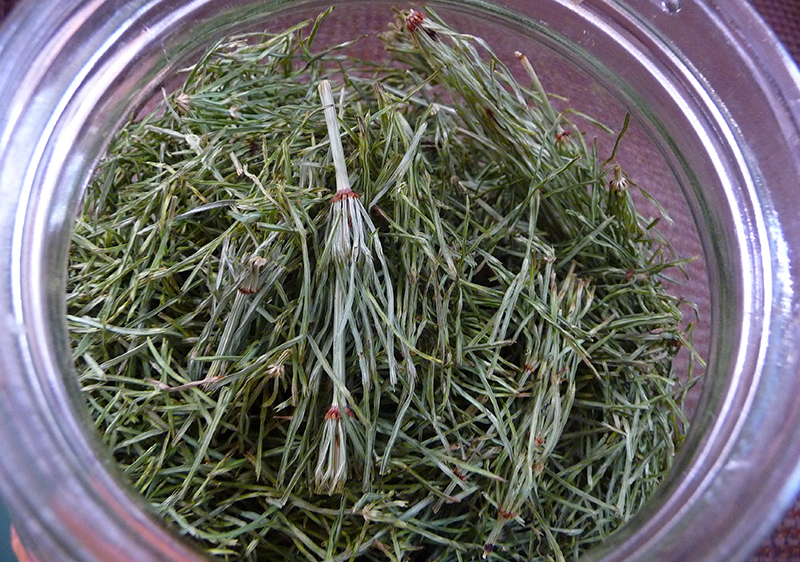 It is good to use a mask when placing dried horsetail in jars or creating herbal powders from the dried plant material. 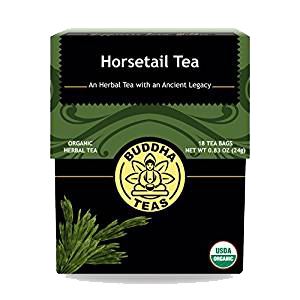 Drinking horsetail teas are one of the best ways to absorb the nutrients and silica content. You can use straight fresh or dried horsetail or add in other herbs for added minerals or flavor. To make horsetail tea, simply pour hot water over a handful of fresh leaves/stem or use 2T dried horsetail herb in quart jar and allow it to steep with a loose lid for 20 minutes. This tea can be used as a soup stock or a base for blended drinks and smoothies. 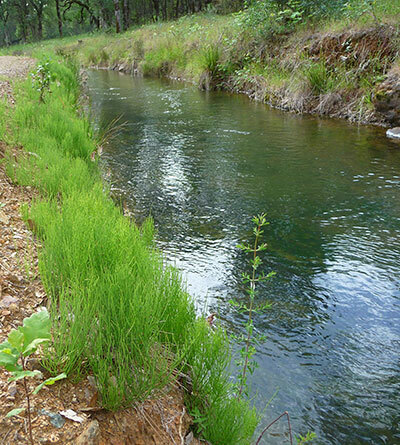 Horsetail is known to contain small amounts of nicotine and is not advised for young children. 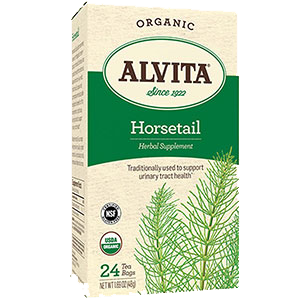 Horsetail is a diuretic herb, so it is important to drink extra water to increase its benefits. Seek the advice of your doctor if you have kidney stones, are pregnant or nursing, have a serious medical illness or are taking prescription medications.